Earlier this week, Evernote announced that it was raising subscription fees for the paid plan of its note-taking app and limiting free users to syncing their notes between only two devices. That’s a bummer for the 100 million+ users that the company claims to have – but life must go on. If you’re not interested in paying more and looking to switch to an alternative app, take a look at our other favorites and choose the one that suits you best. If you’re a power user who needs all the features Evernote has to offer, such as clipping content from Web pages, attaching PDFs to notes, drawing (which is useful if you have a touchscreen laptop) and table tools, as well as extensive organization capabilities, then you’ll need to take a look at OneNote. It’s completely free and offers plenty of features flexibility for note-taking to suit your style and needs, whether it’s for school assignments, software projects or figuring out your travel plans. It also offers templates for notes that you need to create and customize often. Plus, you can organize your notes into tabs and notebooks so they’re easy to retrieve and refer to. OneNote’s large feature set isn’t for everyone. The interface is geared towards offering you a range of tools, and it can get in the way if all you want to do is jot down a short list. 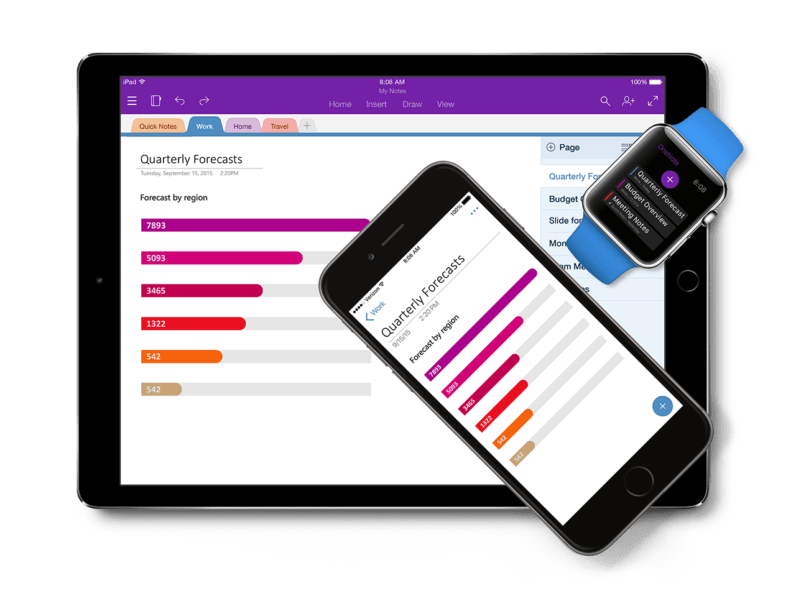 But if you’re migrating from Evernote and don’t want to comprise on functionality, OneNote is far and away your best bet. I used Evernote extensively for a few years, but over time, I simplified my workflow and no longer felt the need for all of the app’s capabilities. What I really needed was an app that let me capture my thoughts quickly and pick up where I left off on another device. Google Keep is perfect for that. It lets you write notes and lists, and also supports scribbling by hand, recording voice memos and capturing images. But instead of piling on features for organizing and formatting your content, it keeps things simple and offers a minimalist interface that’s easy to familiarize yourself with. There’s no notebook system here; you can tag your notes to find them later, and the app now automatically categorizes them by topic, such as ‘food’ and ‘travel’. Keep doesn’t have a desktop app; instead, you can access your notes on the Web. If you’re on Chrome, you can also try this extension that puts the app in a pop-up panel. If you still need to be able to clip content from the Web, you can use the Chrome extension Google recently introduced to save pages or selections of text and images from your browser. I especially enjoy using Keep on Android because it comes with a handy widget that lets you see your notes and scroll through them right on your home screen. I’ve set up Nova Launcher so I can swipe up with two fingers to start jotting down a note instantly or swipe down to see all my notes. Want an absolutely no-frills setup for note-taking? All SimpleNote does is let you save and sync text across devices. Oh, and it supports MarkDown for formatting your text. However, SimpleNote – which is made by Automattic, the company behind WordPress – does have a couple of useful tricks up its sleeve: it lets you scroll through multiple versions of each note and allows you to publish your work straight to the Web with one click. I use SimpleNote exclusively for all my TNW writing; the bare-bones interface forces me to focus on getting words onto the page, so to speak, and that’s all I need for work. The interface gets out of the way to let you focus on writing and auto-saves your work on both mobile and desktop. Organization is kept to a minimum; you only have a note list, support for tags and a search function. While you can’t do things like clip content, add images or merge multiple notes into one, you do get to store as many notes as you like – SimpleNote is completely free and has no usage limits. Great, now I’m confused – which one’s right for me? If you haven’t ever tried any note-taking tools in the past and are keen to start, I’d recommend Google Keep. It’s simple enough to start using immediately and its feature set won’t overwhelm you. If you’ve migrating from Evernote and already have a lot of notes saved there, OneNote is likely the best choice. Its interface for formatting and organizing your work is somewhat similar, and there’s an easy way to copy your notes over to OneNote with minimal fuss. SimpleNote is great for those who are tired of toolbars cluttering up their note-taking apps and just want to write without facing any distractions. Are you moving away from Evernote? What’s your favorite note-taking app? Let us know in the comments.